Source: Carolo Coffin, Hymni Sacri (Paris: Usuum Parisiensium, 1736), pp. 38-39. Par sit tibi laus, Spiritus. Sheet Music from J. H. Hopkins, ed., Great Hymns of the Church Compiled by the Late Right Reverend John Freeman Young (New York: James Pott & Company, 1887), #80, p. 125. 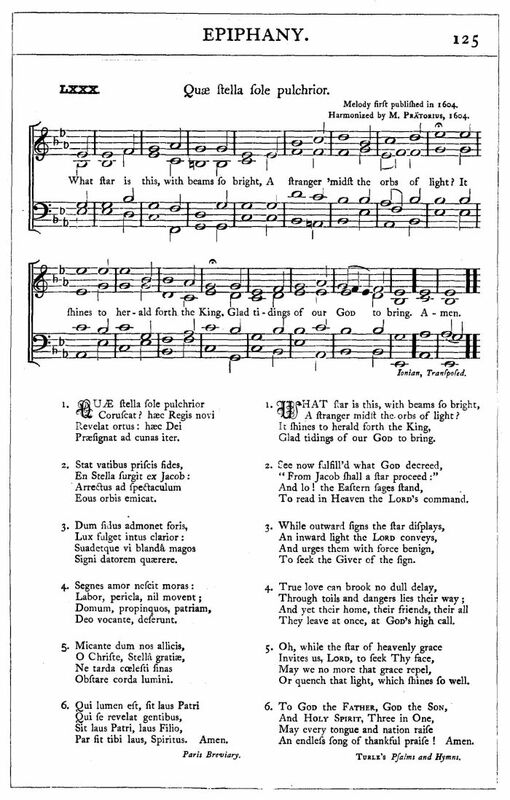 "Melody first published in 1604. Harmonized by M. Prätorius, 1604."